Greetings & Welcome! Thank you for checking out my new blog. My real name is Tommy but I am known as Tomstoyz. I just started this baby but I'll have it jam-packed with tons of fun stuff very soon so stay tuned. 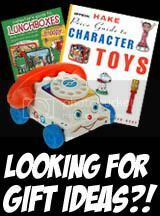 I have been a Vintage Toy Dealer for over 20+ years & a very serious collector for even longer. With this blog I plan to share the experience I have learned & spread the joy of collecting. One day about 20+ years ago I drove by an antique store in my hometown of Oklahoma City named THE ANTIQUE STOP. I had driven by it a few times thinking how neat the place looked. One day I stopped & went inside. While there I found an old metal lunch box, the Incredible Hulk ©1978. I also found a Vintage 1960's Fisher Price Bumble Bee Pull Toy that is kind of common but I used to have one as a kid & it brought back a lot of fond memories. I ended up buying both items & this was the start of something big. 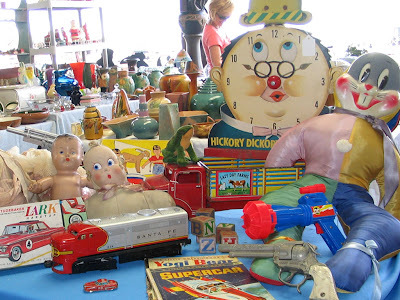 I then spent the next 20+ years going to garage sales, thrift stores, flea markets, estate sales, etc...I have set-up at toy shows, indoor/outdoor flea markets, & was even an eBay slave for 11 years. I guess I've seen it all but even if you're in this business for hundreds of years I don't think you can, ha ha. That's one of the things I like best about this hobby. It never ends. Some smoke crack... I collect toys ... much worse! har har!